Carpal Tunnel Syndrome (CTS) is one of the most frequently encountered disorders by all instrumentalists, caused by repetitive movements in the wrist and fingers. This is the most common of the nerve entrapment disorders. These conditions are more common in women, and persons with diabetes, thyroid disorders, and arthritis, or are pregnant. It occurs when the median nerve is caught, or entrapped, between the bones, ligaments, and other tissues found in the wrist. 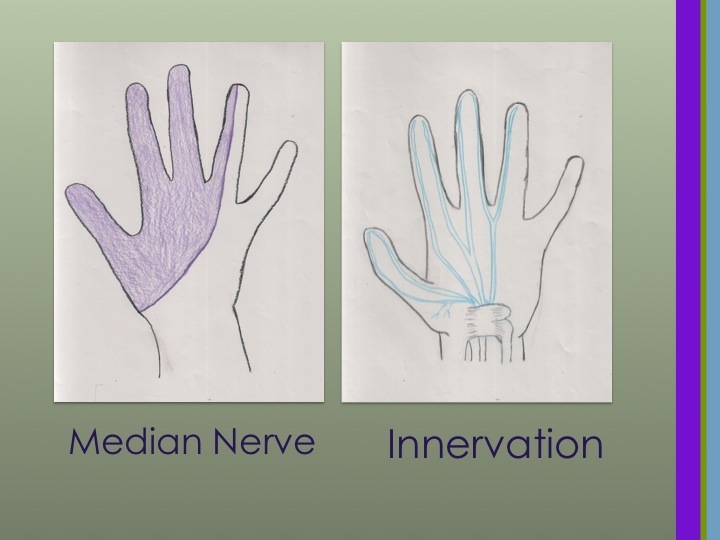 The median nerve innervates the thumb, index finger, third finger, and the thumb side (called the radial side) of the ring finger. 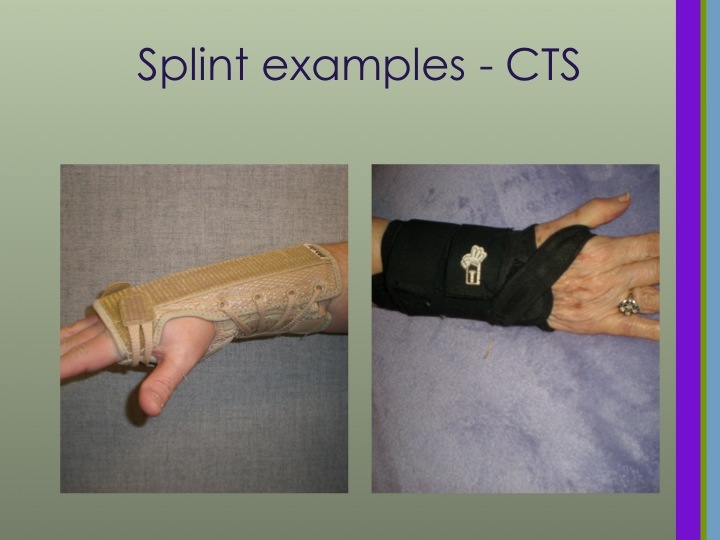 CTS develops when there is an increase in pressure in the carpal tunnel, or the wrist. This causes swelling, which puts pressure on the median nerve, which will begin to cause symptoms. The median nerve can be damaged depending on the cause, severity, and duration of the pressure. Many flutists do not realize that the damage is occurring in the early stages. Because of this, it is important to seek help when you notice anything that is unusual, before there is any permanent damage. The most common symptoms seen are numbness and tingling of the hands and fingers. Some will experience pain in the wrist that sometimes radiates to the arm and shoulder. The problem is caused by repetitive motions, such as preparing for recitals, or working on difficult passages repeatedly. Often, flutists do not notice the symptoms when practicing or playing. Instead they notice numbness in their hands while driving, waking up at night with numbness, or dropping objects while distracted. As long as the symptoms are intermittent, they usually will not cause permanent damage. There are some simple tests we can do to check for CTS. These are not meant to take the place of seeing a health care provider. Instead they can help us in managing the condition, and knowing when we need to see a health care provider. One of the easiest and best tests is called Phalen’s test. When performing this test, we hold our wrists in a flexed position for 30-60 seconds. The back of the hands should be touching. It looks similar to mirror image of praying. If you have any nerve impingement, it causes numbness and tingling. The numbness and tingling does not have to be dramatic, so if you experience any, you will need to address it before the damage becomes severe. 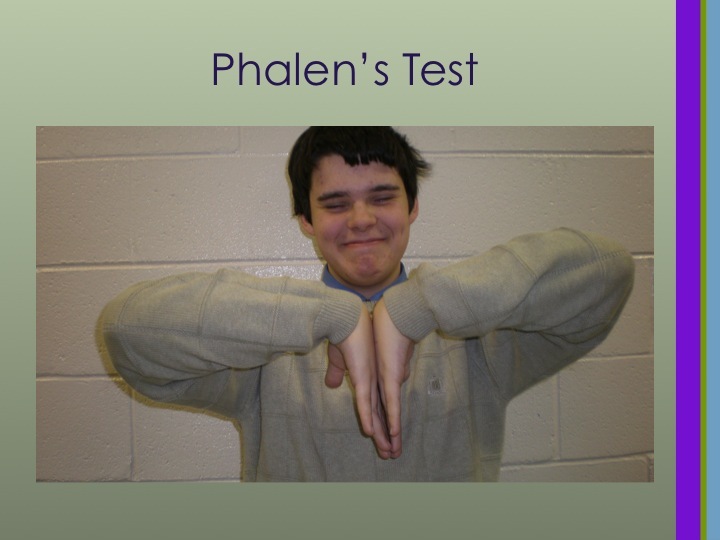 The Phalen’s test is not going to diagnose CTS, but will assist the flutist, or teacher, in knowing when to seek help. CTS can affect the muscle strength on the affected side. To check for muscle strength, just have the person place the tip of the thumb and the tip of the fifth finger together, while someone else tries to separate them. The side that is affected by CTS will be weaker. So, what do you do if you think you have CTS? There are some things you can do on your own, before you see a health care provider. One of the most important is to stop any non-musical activities that aggravate the problem. Another easy way to alleviate the pressure on the nerve is to sleep with a splint that keeps the wrist straight and in a neutral position. Most people sleep curled up, which will aggravate the condition; so the splint lets the wrist, and median nerve, have a much-needed rest. Splints can be obtained without a prescription at most drug and department stores. Another treatment is to take over-the-counter Non-Steroidal Anti-Inflammatory medicines (NSAIDS). Examples would be Tylenol, Aleve, or Advil. Some medical conditions can prevent taking these, so you should check with a provider first. Some have found taking Vitamin B6 helpful, since it is a natural diuretic, and is a protect ant for the nerves. If it does not help, it will not hurt you. One of the most important, and best, things we can do is use ice regularly on the wrist. It should be done at least 20-30 minutes two to three times a day. Most people cannot immediately get an appointment to be seen, and all of these are helpful until you can get an appointment. When you first start to notice symptoms, it will be very helpful if you start keeping a record of everything you experience, i.e. symptoms, what you were doing when you had them, any treatments, etc. This information will be very helpful to the health care provider in deciding what to do next. What happens next, when you do see the health care provider? One of the first things done is a trial on steroids, either by mouth or an injection. The injection places the medicine right in the area that is being affected. The oral steroids affect your entire body, and have some side effects that are not very pleasant. Most health care providers are very judicious when it comes to injecting joints. Too many injections can actually damage the joint, causing more problems in the future. This is why it is important to find someone that is a specialist in treating these problems. The best specialties for this are orthopedics (bones) and rheumatologists (joints/arthritis). Some will have a nerve conduction test, which evaluates if there is any nerve damage. While many will benefit from some of the above treatments, others will require surgery. It is considered a last resort, and is frightening for many of us. But the thing we must remember is that all the more conservative options have not worked. So, it is better to have surgery than risk permanent, and career ending, nerve damage. The surgery is simple and recovery is relatively fast. Do not be afraid to see someone about the problem. Try the easy things while waiting to see someone. We usually do not recommend complete rest anymore. There will be a period where you can’t play as much. You have to learn to pace yourself and take breaks. Follow what the doctor recommends. It is better to miss a gig, than have to stop playing altogether! Most important-It will get better! !